I tend to have quite a lag after moving my mouse, and can't figure out why or even how to change the settings. im not really understanding them. I have downloaded it and the same thing happens. After moving my mouse in-game, it take time to catch up to what i am looking at. i guess is the way to put it. 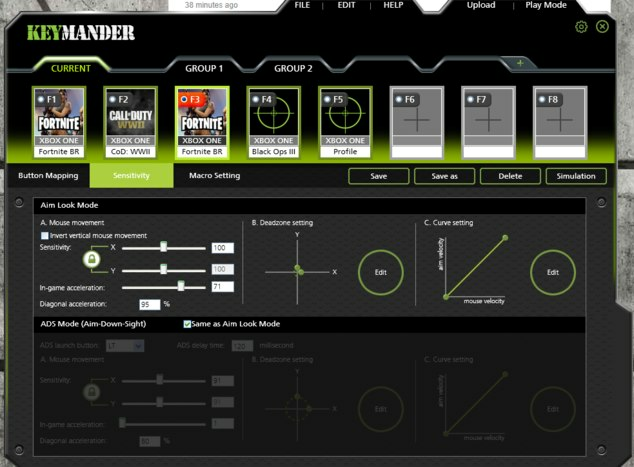 What do i need to do in the game settings? Then it should be fine? Thank you so much ill give it a shot, if it doesn't seem to help then i will definitely reach out again. So i am not sure if it has to do with the DPI or Deadzone, but still if i wiggle my mouse, it takes a second for it to stop... Im really confused on how this all works..
Can you maybe send me screenshots of what you think the best settings may be? Let's start from the beginning to make sure you have everything set correctly. What mouse are you using with the KeyMander? 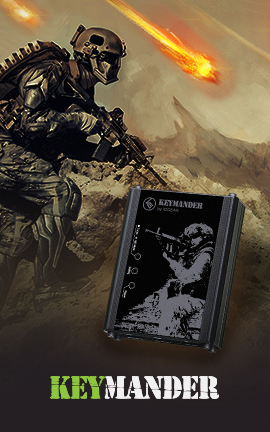 The mouse I am using is the RETIKAL that comes in your bundle. Ok, you will need to set the resolution to 5000dpi in the software, or just press the DPI button until you see 5 bars lit up on the side. Next, set the KeyMander software dpi to 5000 and then hit the Upload tab to save it in the KeyMander. You already have the Fortnite sample profile uploaded to the KeyMander, correct? Yes, and you can also bind additional functions as well. I like to use button 11 for the map. I will bind button 11 as an unused keyboard key like P and then set P to the map in the KeyMander software. 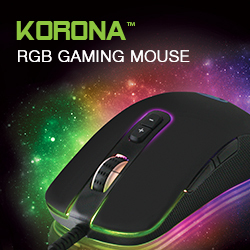 My mouse only has 9 buttons.. This whole thing just has me confused. Look at the software page and see 11 in the circle. That's the button I'm talking about. What should my deadzone settings be and all that? should i mess with the curve? If you are using our sample profile all of it is preset for you. How do i get rid of the laggy catch up? There is no lag, but if you did not use the sample profile and set everything as stated above, you could be experiencing the maximum turning speed limit. 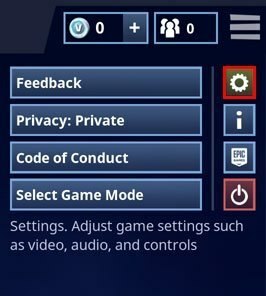 Did you download the Fortnite sample profile? Which profile slot did you put it in? Make sure you followed these instructions to import your profile. What profile slot did you save the profile to? profile 3 but the profile slot was blank. I imported it to that slot..
Ok good. Then you pressed F3 when getting ready to play and heard the beeps to confirm the profile switched, correct? 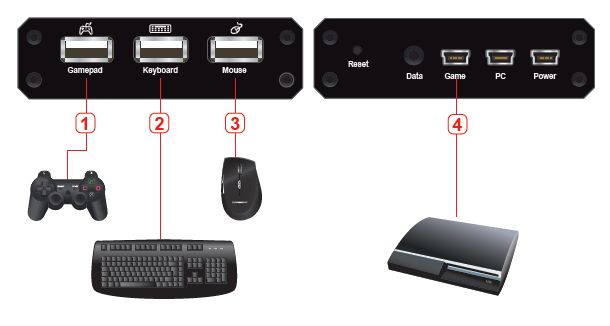 If the KeyMander software is set to 5000 in the box shown below, the mouse is connected directly to the KeyMander, and you are on profile F3, then you should have very smooth mouse movement with the game settings I previously posted. 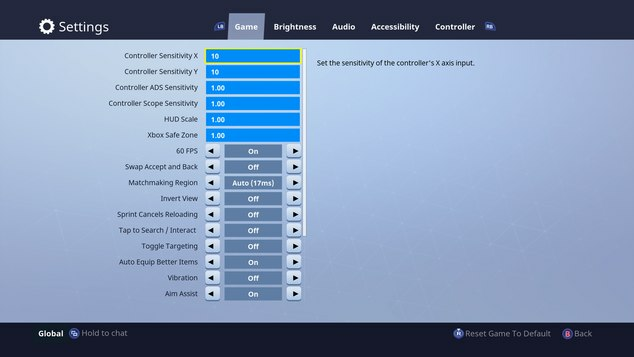 If you are not getting smooth mouse movement after all of these settings are as shown, either a step was missed or a setting is different than what we provided. Let me know if it is now better, or if not please send a screen shot of your KeyMander profile settings so we can take a look. It just occurred to me that my mouse is connected to my computer and im just going back and forth to adjust the settings. Do you have a diagram of how it should be hooked up? 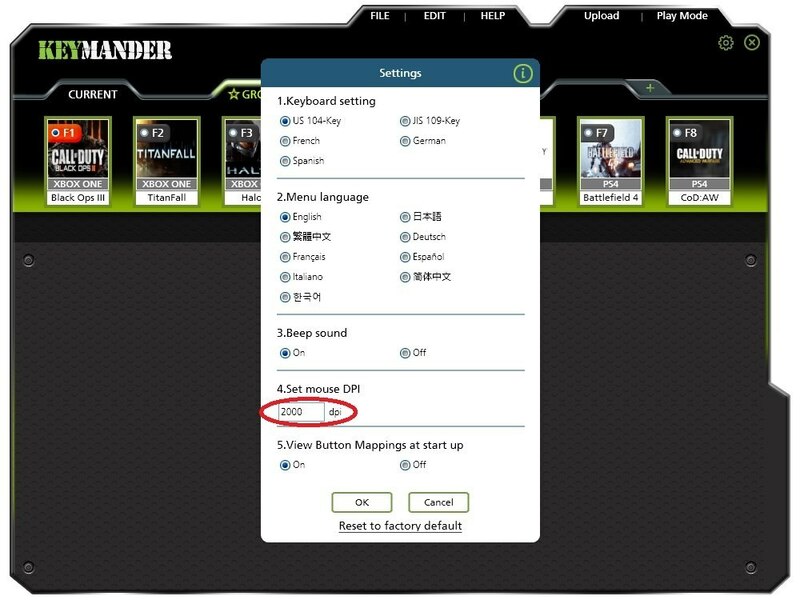 If your mouse is connected to your computer, any mouse drivers, screen settings (scaling) or Windows mouse settings will affect the mouse performance in the game. 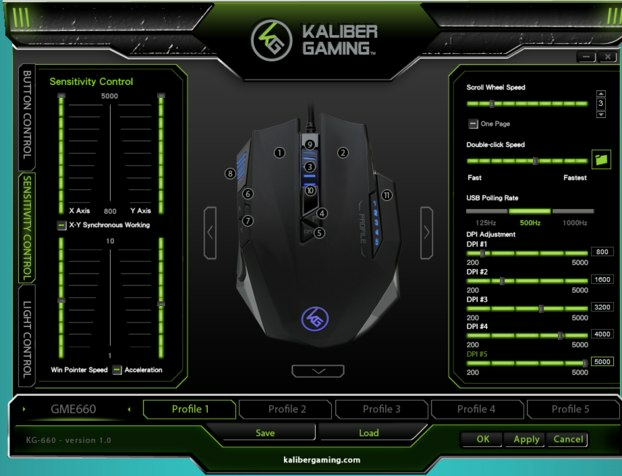 The best way to check your settings is with a direct mouse connection to the KeyMander.